Looking back, 2015 was a banner year for my brewing. Speaking immodestly, I produced some excellent beers. Just as importantly, if not more so, I really stretched myself in terms of new styles and techniques. 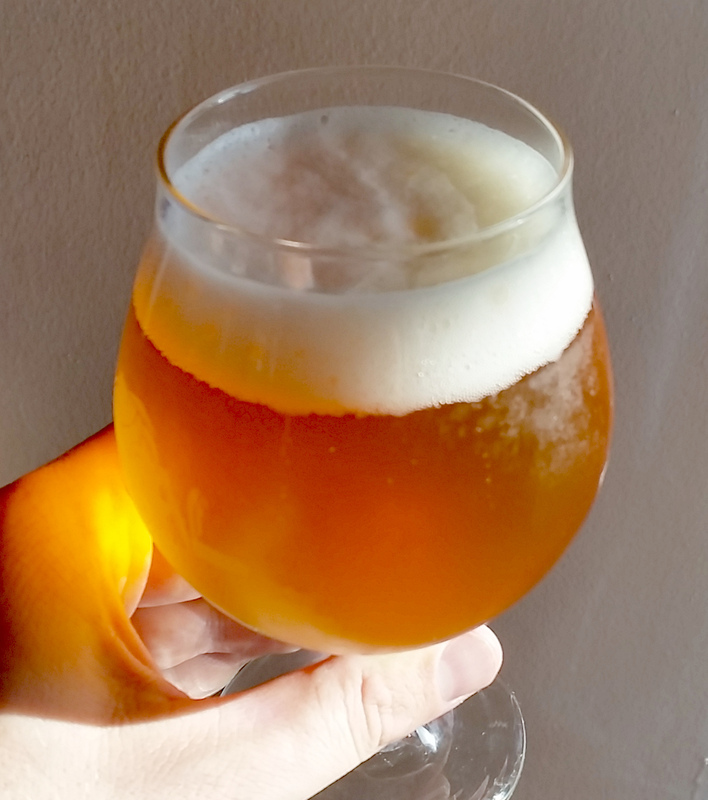 This blonde ale nailed every single aspect–in fact, I might say it is one of the best beers I’ve brewed over the years. I didn’t have any batches that totally went south, but I did have some that were just not quite where I wanted them. My Live Long and Porter was squarely mediocre, as was my attempt at an Old Speckled Hen Clone. The former was mostly a result of recipe–the latter was, at least in part, the need to age for way longer than I was willing to give it. I’ve done two iterations of this recipe now, and each time have dialed it in just a little closer to my overall goals. One more, and I think I should have it where I want it! This is my “brew to watch” for 2016. I’ve long been hesitant to brew a sour beer (and truth be told, I think that sours are a bit overdone), but I couldn’t pass up a chance to try kettle souring. It was super easy, and the result has been pretty tasty! I tried a lot of new things this year (different hopping schedules, session IPA’s, kettle souring, brew-in-a-bag, and oaking, to name a few), but I think the biggest addition to my toolkit has been kegging. I absolutely love the convenience–so much less scrounging, scrubbing, and sanitizing–and it also makes hosting people easier (no more piles of bottles on the counter). I’ll admit that the “cool factor” of a few taps on-hand is nice, too. It’s nice to be able to just have a few ounces if that’s all I want, rather than committing to a full 12, 18, or 22 ounce bottle. A win all around! I would say that mastering my refractometer has been among the most frustrating aspect of brewing this year. It is a handy little tool, but wow, is the scale off major time. It took quite a few iterations and the development of an instrument-specific equation to get it to the point where I feel comfortable with it. I have to say that WLP400, White Labs’ Belgian Wit yeast, is probably one of the most enjoyable strains to work with, in terms of quality of the results. I’ve used it in both of my White IPA batches, and I’m hooked. Hands down, it’s Gordon Strong’s Modern Homebrew Recipes. Every single recipe I’ve tried or modified from there has been excellent. It has also helped me to really think about my process, and the effects that process can have on each batch (e.g., late hopping, adding dark grains at the vorlauf, etc.). A close runner-up is Mastering Homebrew by Randy Mosher. Not only is it informative, but it’s got the best (and most helpful) graphics of any homebrew book I’ve seen yet. Strong’s book has pushed my technique the most, but Mosher’s has solidified the basics the most. They are a good duo of publications! This entry was posted in brewing, equipment, miscellaneous. Bookmark the permalink.